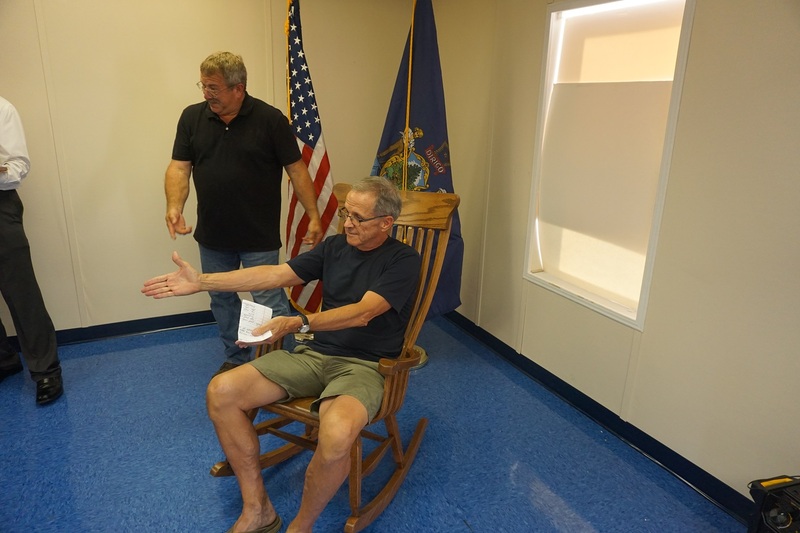 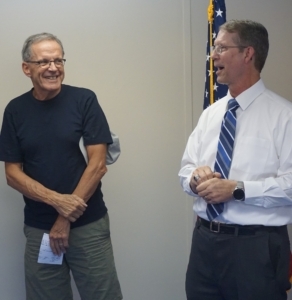 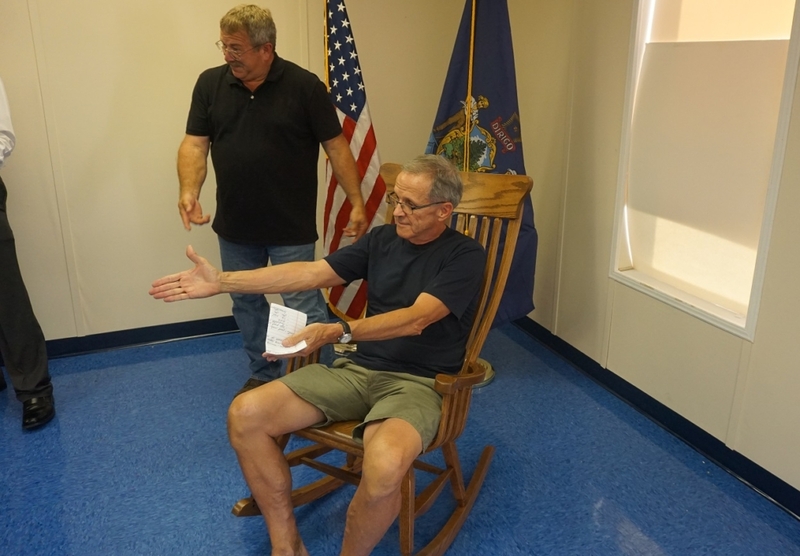 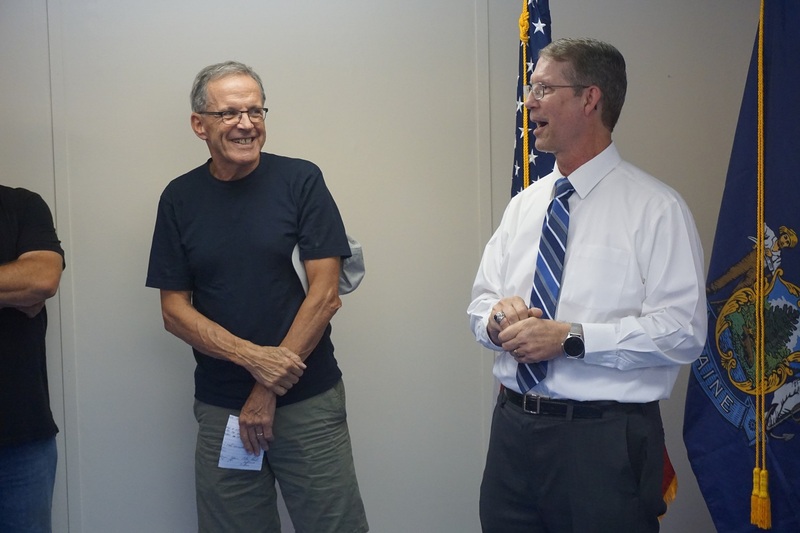 On June 30, a crowd of grateful citizens, from the town of China and surrounding areas, gathered in the portable building behind the town office to wish luck to Dan L’Heureux as he enters retirement after more than 22 years of service as China’s town manager. 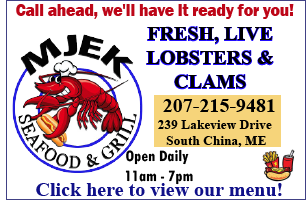 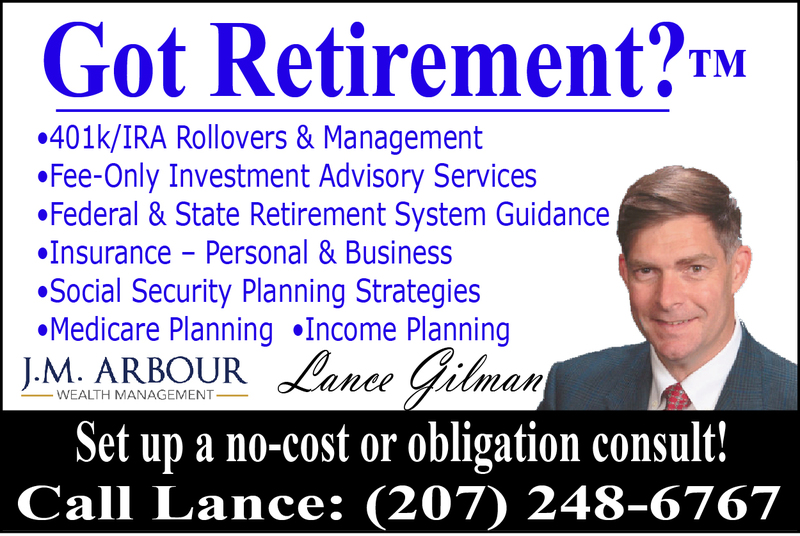 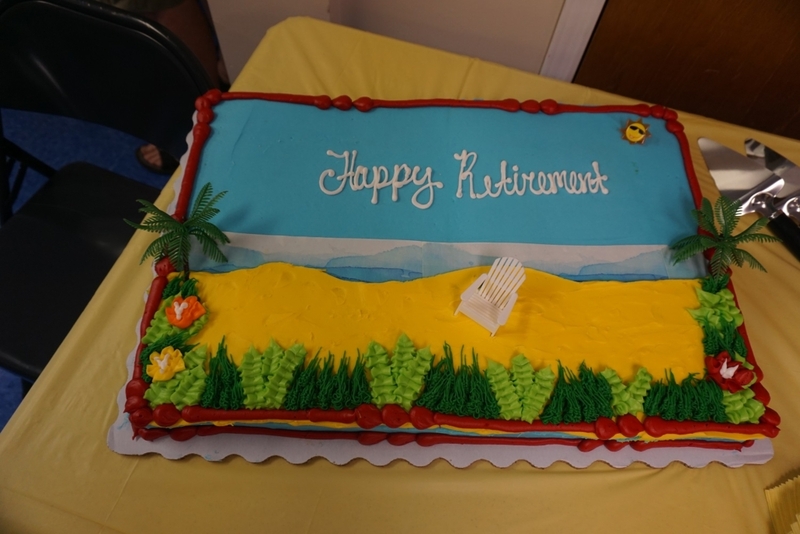 The speeches were followed by hors d’oeuvres prepared by the town office staff, cake, and a great deal of socializing. 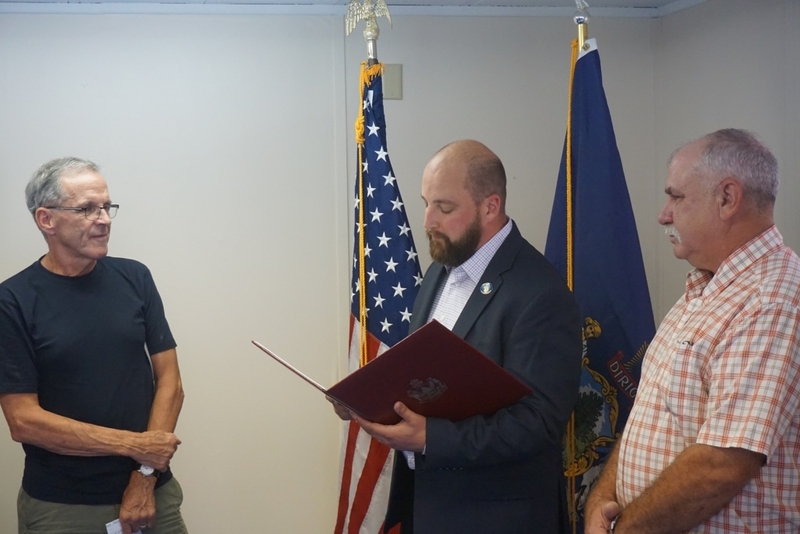 Representative Matt Pouliot, of Augusta, presents Dan L’Heureux with a Certificate of Legislative Sentiment. Representative Tim Theriault, of China, stands on the right.